How Does State Law Pertain to Bicycling? As a bicycle rider, you know that there are laws out there that protect you in the event of a bicycle accident. But do you know which laws will help you and what those laws are? If you are a motorist, do you know which laws impact you, and how they will be used to hold you accountable if you strike a bicycle rider on the road? If you are driving a car, no crowding, tailgating, or allowing your road rage to get the better of you, even if the bicycle rider is going slower than you want him to. You also can't bypass the bicyclist in the same lane, so don't even think about it…even though you've probably done it already once this week. The state of Arizona classifies bicycles as vehicles, and this means that the same laws apply to bicyclists and motorists. If you are riding your bike, you must stop at stoplights and yield to pedestrians, but you are also expected to receive the same respect on the road from other drivers. Ride as close to the curb as possible when you are traveling on city streets. If you're on a street without a sidewalk, ride as close to the edge of the road as possible without endangering yourself. Don't ride on the sidewalk. The sidewalk is for pedestrians, and your bicycles is considered a vehicle. When you're traveling with a companion, never ride more than two abreast in the lane of traffic. If you are riding at night, the law requires that you mount a white light to the front of your bicycle. This light must be visible to cars coming towards you from 500 feet away at minimum. If you're traveling outside of normal daylight hours, your bicycle must be equipped with a red reflector light in the back, so that vehicles traveling behind you can see you in front of them. The above are just a few of the rules related to Arizona bicycle law. The complete set of laws is longer and more complex. If you have been involved in a crash and suspect that the driver violated Arizona law, the Phoenix bike accident lawyers at Breyer Law Offices, P.C., can help. 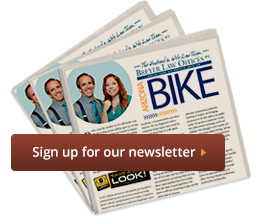 We have in-depth knowledge of bicycle law and can provide a free consultation to discuss the specifics of your case. After this complimentary evaluation, you will have a better idea of whether you should try to collect damages in a court of law. Call Breyer Law Offices, P.C., at (602) 267-1280 to see how we can help with your case. Phoenix Bicycle Accident Lawyer Disclaimer: The legal information presented at this site should not be construed to be formal legal advice, nor the formation of a lawyer or attorney client relationship. Any results set forth herein are based upon the facts of that particular case and do not represent a promise or guarantee. Please contact a lawyer for a consultation on your particular legal matter. This web site is not intended to solicit clients for matters outside of the state of Arizona.